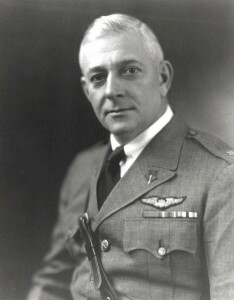 In 1935, a board of officers met in Washington, D.C. and recommended that the new Army Air Corps station to be constructed in the Territory of Hawaii be named in honor of Lt. Col. Horace Meek Hickam. Major General Benjamin D. Foulois, Chief of the Air Corps, approved; General Douglas MacArthur, War Department Chief of Staff, issued the orders; and on 31 May 1935 the new flying field on the island of Oahu was dedicated and named Hickam Field. This was a fitting tribute to the West Pointer who began his career in the cavalry then transferred to the Army Air Service and became a pioneer advocate of air power. Born in Spencer, Indiana on 14 August 1885, Horace was the oldest of Willis and Sallie Meek Hickam’s four children, the others being Willis Jr., Hubert and Morna. Unlike his two brothers who followed in their father’s fotosteps and became lawyers, Horace showed an early interest in the military. While a student at Spencer High School, he organized a cadet corps, then joined a local National Guard unit following graduation. He attended the University of Indiana for a year, then left for the United States Military Academy at West Point. There he proved to be a good student and athlete, earning varsity letters in football, track and gymnastics. Commissioned a second lieutenant in 1908 after graduating from the Academy, he reported for his first assignment with the 11th Cavalry in Vermont. The promising young officer gained valuable experience quickly, serving at several stations in the United States from Georgia to Texas. 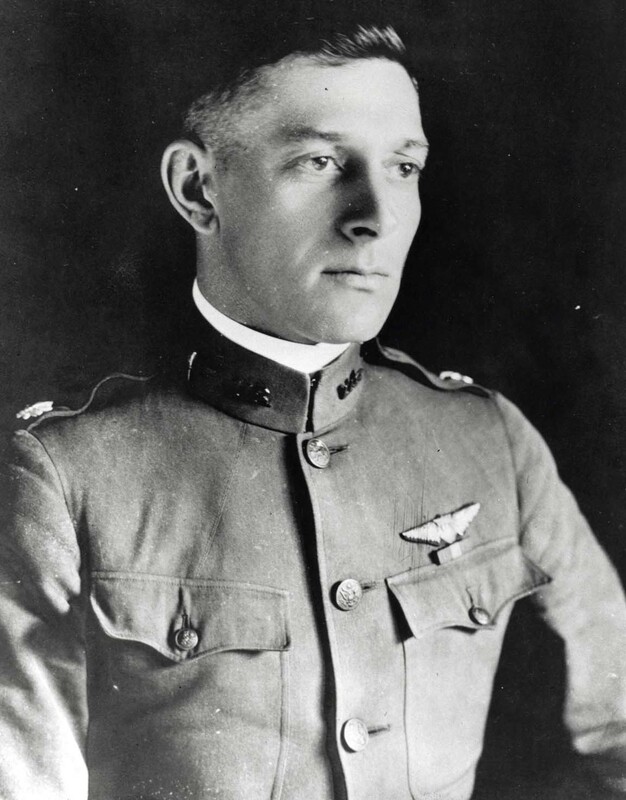 In 1911, he volunteered for aviation training at Fort Sam Houston, along with 17 other young officers. They were not relieved of their regular duties but flew in their spare time. In January 1914, Hickam was assigned to the 8th Cavalry in the Philippines. A little less than two years later, in December 1915 he returned to the United States to serve in the 7th Cavalry under the command of General John J. Pershing. As part of America’s punitive expeditionary force, Hickam received his first taste of combat. On 22 April 1916, he engaged at Tomoehie, Mexico, and earned the Silver Star for gallantry in action. Soon thereafter, Hickam received orders to a quieter assignment as professor of military science and tactics at the University of Maine. 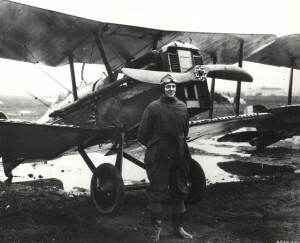 Following the outbreak of World War I, Horrace Hickam left his teaching post and joined the aviation section of the Signal Corps as a brevet major on 5 August 1917. 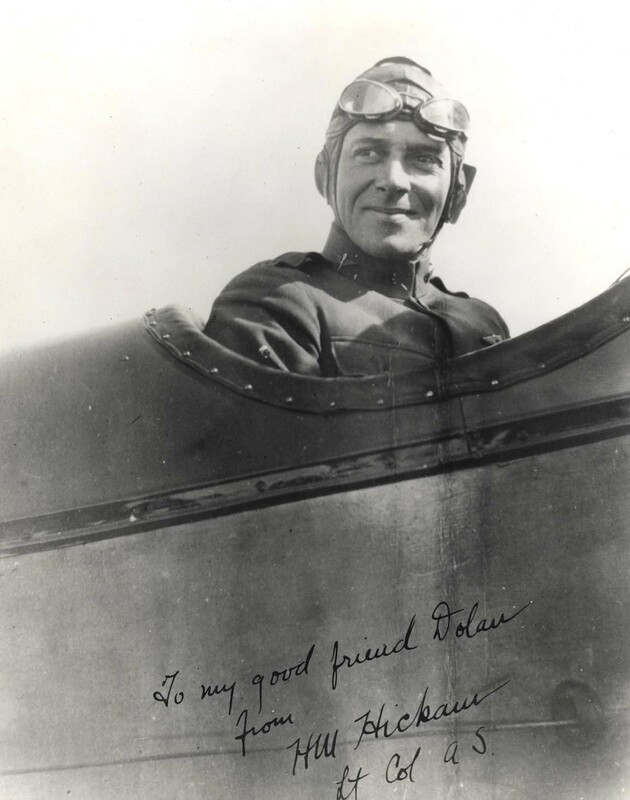 In May 1918, he reported to Rockwell Field in San Diego, California, for flight training, which he completed on 15 August 1918, qualifying as a Junior Military Aviator. An assignment to Dorr Field near Arcadia, Florida, followed, for instruction in aerial gunnery and pursuit flying. In October 1918, Hickam assumed command of Dorr Field as well as nearby Carlstrom Field. A few months later, however, on 21 January 1919, he was appointed Chief of the Information Division, Office of the Director of Air Service, in Washington, D.C. There he started the Air Corps Newsletter and wrote the first history of the Air Corps. Four years later in January 1923, Hickam became assistant commandant of the Advanced Flying School at Kelly Field, Texas. He became a strong proponent of air power at a time when military aviation was a newcomer in the Army family and considered by many to be a not quite sensible experiment. On 10 May 1926, while attending the Air Corps Tactical School at Langley Field, Virginia, Horace Hickam narrowly escaped death. During a flight formation, he collided in mid-air with Major Harold E. Geiger, a follow student, and had to parachute to safety. This resulted in his initiation into the famed Catepillar Club, a fraternal order with membership based on surviving an emergency parachute jump. By 1928, Hickam had graduated from the Air Command and Staff College, General Staff School, and Army War College, in addition to the Air Corps Tactical School, and began a four-year assignment as a member of the War Plans Division, War Department General Staff. On 1 March 1932, he was promoted to lieutenant colonel. A little more than three months later on 18 June 1932, he assumed command of the Third Attack Group at Fort Crockett in Galveston, Texas. In February 1934, when President Franklin D. Roosevelt ordered the Army Air Corps to take over the flying of airmail after cancellation of government contracts held by commercial airlines, Horace Hickam was given responsibilty for the Central Zone. From headquarters in Chicago, he directed operations over a wide area extending from Chicago to Cheyenne. 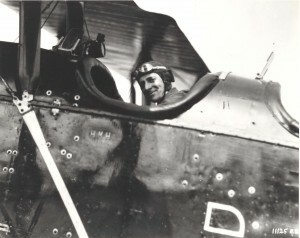 Upon termination of this operation by the Air Corps, he returned to Texas and resumed command of the Third Attack Group. On 5 November 1934, while practicing night landings on an unlighted runway at Fort Crockett, Colonel Hickam was killed when his Curtiss A-12 Shrike hit an embankment and flipped over. Flags flew at half-mast as the men under his command mourned the loss of their beloved leader. The full complement of military personnel assigned to the Third Attack Group and Fort Crockett marched from the post to the Malloy & Son funeral home and from there escorted the body of their late commander to the train at Union Station, as a flight of aircraft flew overhead in the missing-man formation. Mrs. Hickam accompanied the body to Washington for the funeral at Arlington National Cemetery, where he was buried with full mlitary honors on 10 November 1934 in the presence of a large throng of friends and admirers who had gathered to pay him tribute. His untimely death was mourned by superiors and subordinates alike. No one grieved more, however, than his family–for they lost a husband, father, son and brother. In addition to his wife, Helen, he was survived by two children–Martha and John–as well as his mother, brothers, and a sister.